As a homeschooling mom for the past 26 years, I know the struggles and the victories that come with teaching your kids at home. We hope that we are making the right choices for curriculum, we deal with intense pressure to perform….making sure our kids are spelling bee winners and over-achievers. I felt like an epic mom failure. It can be a challenge not to compare ourselves to the other, more “successful” homeschool families. Then there’s the fact that these little people are home with us all. day. long. We never get a break. I love these kids and wouldn’t trade this time with them for anything, but I am a huge advocate of moms getting a regular night off. All moms need this, but homeschoolers especially need a break from being “ON” all the time. So I am asking you to pray for your homeschooling friends. I’m not saying their work is any harder than anyone else, just that there are specific needs they have. Here are some things you can pray for your homeschooling friend and a few ideas for helping them. Wisdom. OK, all parents need wisdom. 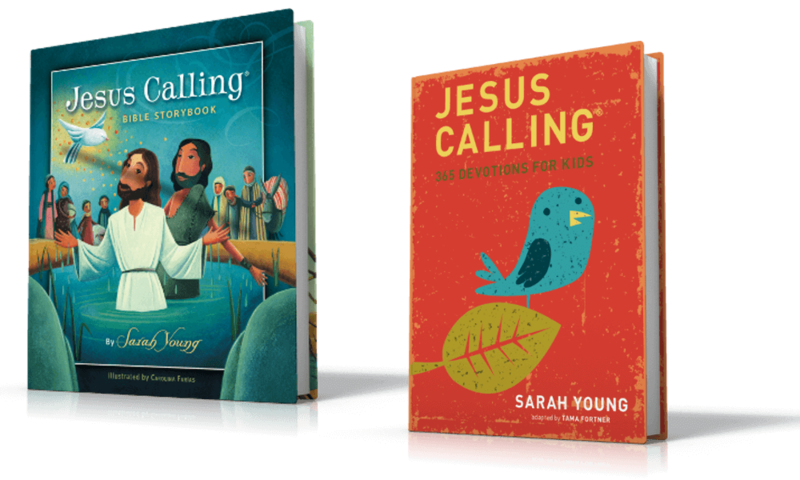 Some that is specific to homeschoolers is having to decide what books to teach out of, what online help to choose, whether to join co-ops or classes, what conferences to attend. There are so many choices! Prayer for making those decisions is a blessing! Communication. When you are the mom and the teacher, communication lines get blurred. You have to be loving and mothery while giving grades and dishing out homework. 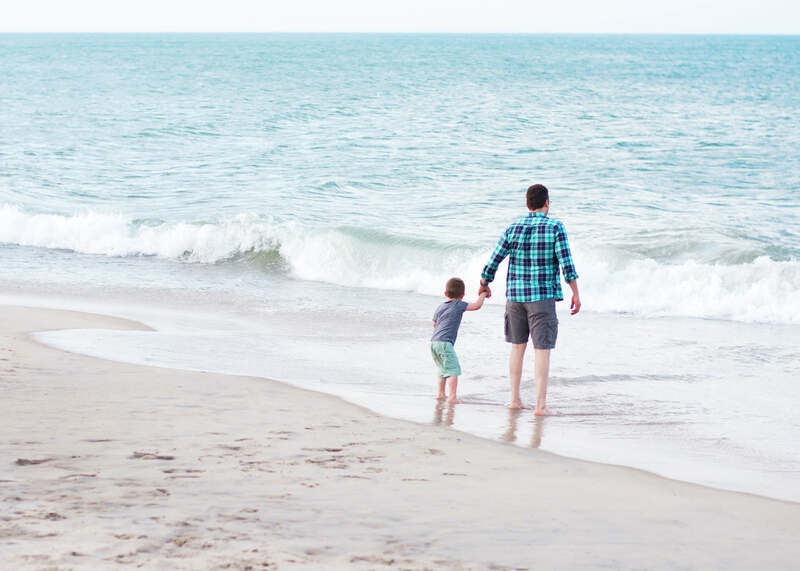 It can be hard to find a balance between mom and teacher. And it’s also hard for the kids to know where Mom ends and teacher begins. We all need prayer to find our groove. Time Management. 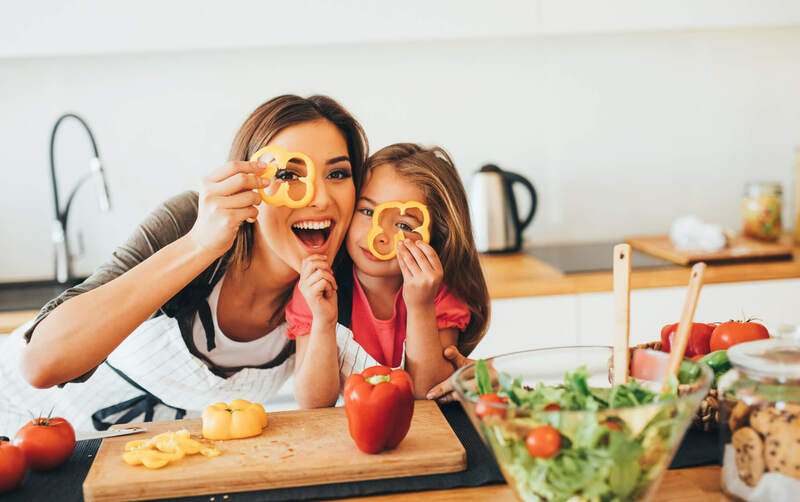 Think of the spinning plates analogy….the homeschooling mom has lessons, grading, house cleaning, dinner prep, possible multiple kids to work with, lunch to get on the table. There have been many days when I was barely hanging on and ended up serving cold sandwiches for dinner because I couldn’t do it all. Your homeschooling mom friends need prayer for managing their time well. Contentment. There is so much pressure to prove how well you’re doing to people who don’t really understand homeschooling. Mother-in-law, neighbors, well-meaning friends who will quiz your kids just to see what they don’t know. Homeschooling moms need to give themselves a break! I remember once someone asked my 6 year old son how to spell his last name and he had no idea. I wanted to crawl in a hole at that moment, but then I realized that there was nothing to be ashamed of. I could just go home and teach it to him. He knew it by the time he was 18, so what’s the problem? (ha!) Your homeschooling mom friends need prayer to find the strength to know they are doing a great job no matter what the outside world thinks and freedom from feeling they have to prove anything. Peace. When you’re together all day long every day there are extra challenges. Everyone’s fussiness will come out sometimes and get the better of us. From moms to kids, they need to find ways to navigate bad moods, hard schoolwork, entertainment, babies, expectations and so much more! 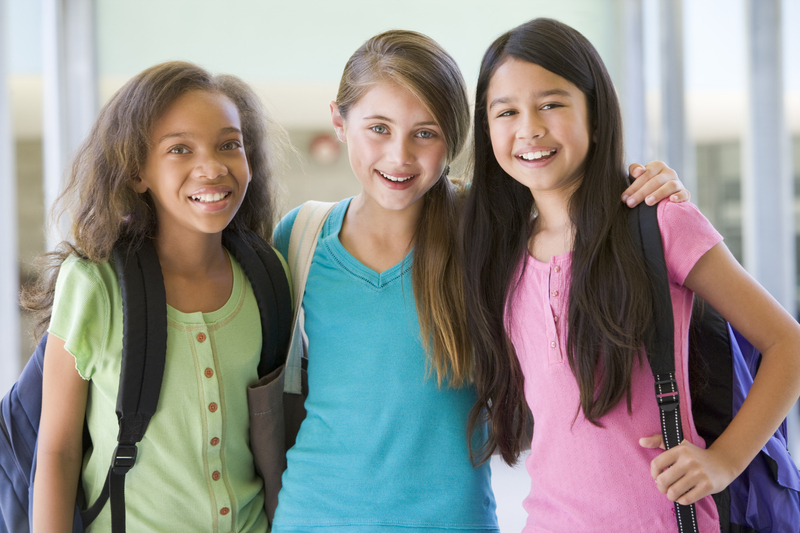 Pray for peace in the homes of your homeschooling friends. Offering Help. Ask God if there’s a way you can give your homeschooling friend a break occasionally. Maybe offer to come sit with the kids for a couple of hours so she can go to the grocery store. Or just come sit with her and talk (homeschool moms are usually desperate for adult interaction). Bring a stack of books and read to the kids so she can take a shower and make her bed. 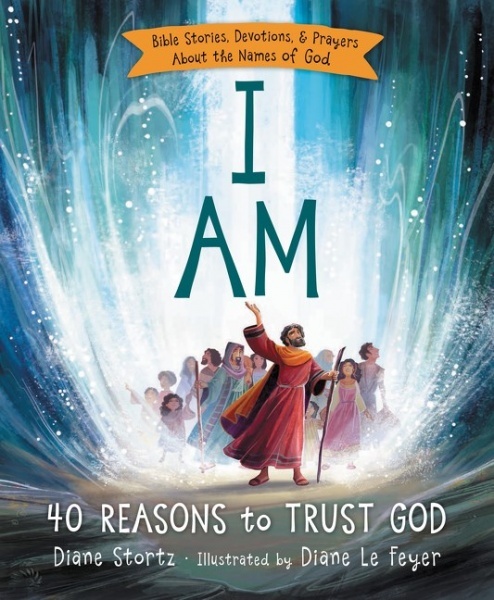 A book like “I Am: 40 Reasons to Trust God” by Diane Stortz is great because it reinforces what she spends her days trying to instill in her children. You can be such a gift to your friend who works hard to homeschool her kids even if you don’t share the same ideas. Pray for her, let her know you’re proud of her and give her some simple support when it comes to mind. Isn’t that what God gave us friends for?! 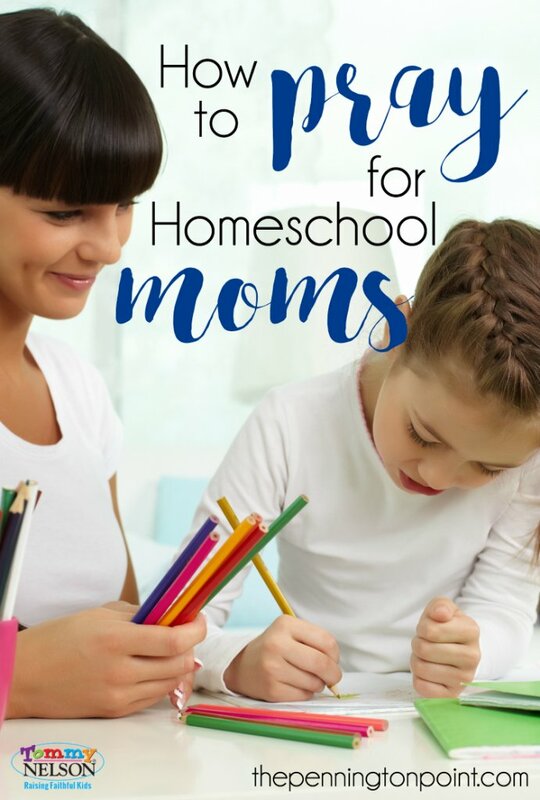 Are you a homeschool mom? How can we pray specifically for YOU?! 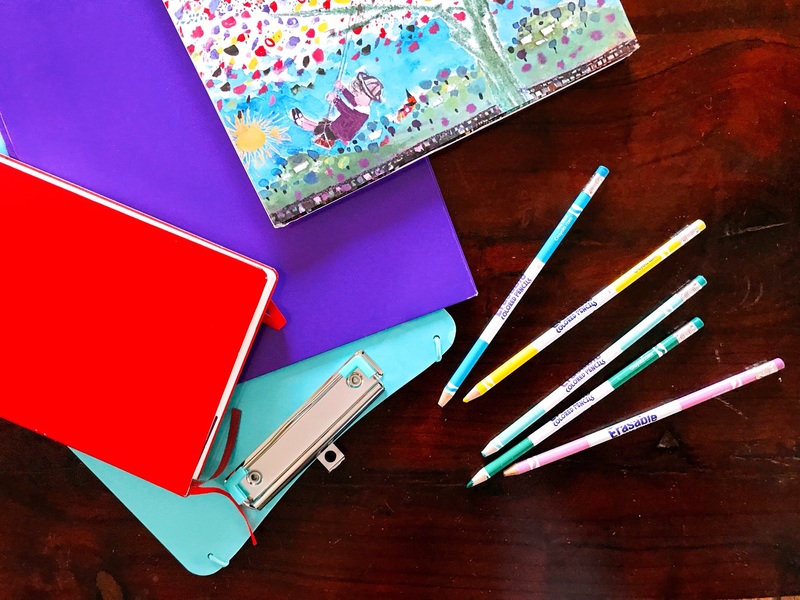 This entry was posted in Blog, Tommy Nelson and tagged Back to School, Homeschool, homeschooling, Lisa Pennington, Prayer by Lisa Pennington. Bookmark the permalink.